The first episode of CBS’s new reality show “Undercover Boss” aired Sunday night right after the Superbowl. For those of you that may not have heard, each week the show will feature a CEO that goes “undercover” to find out what everyday life is really like within their own companies. What a perfect opportunity for Great Leadership lessons and advice! 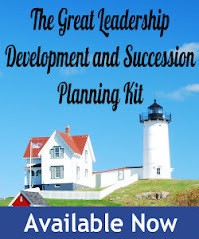 Each week I’ll provide a link to the synopsis and my own leadership lessons learned that I believe would benefit any leader or aspiring leader (so you won’t have to have watched the show). The first episode didn’t disappoint. It featured Larry O'Donnell, president and COO of Waste Management. O'Donnell, who has 45,000 employees, took on five entry-level jobs, which included: sorting trash at a recycling facility, collecting trash in a truck and by hand, working at a landfill and cleaning Port-O-Potty toilets. Larry set out looking for more ways to increase productivity. “That’s what it’s all about”, he said at the beginning of the show. He ended up learning more than he bargained for. Here’s the synopsis, or you can watch the full show here. 1. Don’t let yourself get isolated from reality. OK, so the first lesson is a no-brainer, and I assume will be a common theme for each episode. None the less, it’s a common trap for leaders to fall into, and gets worse the higher your position. While you may really be a well-meaning, competent, good-hearted leader, if you’re clueless, many people will assume you’re ruthless. In other words, they won’t give you the benefit of the doubt of just being ignorant – they’ll assume you actually enjoy making their lives miserable. For an antidote, here’s a post I wrote called “10 more ways to make sure you don’t get isolated from reality as a leader”. 2. Don’t just mandate: explain the “why”. This is a lesson that just about every senior leader needs to understand and embrace. How many times have you issued a company-wide edict to cut costs or improve productivity, but didn’t take the time to explain the “why” to everyone involved? Yes, it takes extra time, but its well worth the time and effort. Don’t underestimate the loyalty of your workforce or their capacity to grasp the big picture and numbers. They’ll be more on board if you treat them like adults and with respect by explaining the rationale behind your decisions. Explaining the why is a great start. It’s even better if you can get your team involved in deciding how to achieve your objectives. Once you’ve explained the importance, they’ll be fired up to contribute. Some leaders don’t even give a target, or number – and their teams come back with even more aggressive goals. In addition to the buy-in and commitment, you’ll also get realistic, workable solutions. You won’t hear anybody saying “Yeah, it’s another one of those corporate things we have to do that don’t make any sense”. Larry took the opportunity to get the female trash collector who had to pee in a can involved on a task force to make the company more female-friendly. 4. Give managers the tools they need to achieve your objectives. If left to their own devices, your managers will figure out ways to meet your objectives. However, they may come up with ways that you wouldn’t approve of. The plant manager that was docking workers 2 minutes for every minute they were late is a good example. I felt bad for that guy when he got chewed out on national television. I’m sure he thought he was doing the right thing. It may have been the best he could come up with on his own. Instead, he could have been given some training in process improvement, management, or leadership. 5. Get to know your employees. The employees that Larry worked with for a day all had amazing stories. Don’t we all? I can’t tell you how many managers I know that don’t know the names of their employees children. As a leader, your actions impact the lives of your employees and the communities in which they live in. It’s your obligation to embrace that awesome responsibility, to take a personal interest in the lives of each and every one of your employees. "Hooters" - When Coby Brooks, President and CEO of "Hooters" goes undercover in his own company, he finds himself struggling to keep up in a fast-paced kitchen and is, later, forced to take immediate action when a restaurant manager steps out of line, on UNDERCOVER BOSS, Sunday, Feb. 14 (9:00-10:00 PM, ET/PT) on the CBS Television Network. Oh yeah, this should be good. Well, it sounds like good old Larry certainly *did* get more than he bargained for! In typical CEO fashion, he went straight for the productivity and not for gaining valuable data. At the very least, his female employees don't need to pee in trash cans anymore. Nice. This show pissed me off, Dan. The guy didn't know all that crap because he did not care to know. All he cared about was numbers, so that's all people ever talked to him about. He is smart enough to know better. He just did not care. Great leadership? Bulls**t! Dan, there appears to be a loved it - hated it response to the program across the web. Personally, I found it interesting. Here are a couple of points I'd like to add to the discussion. 1. I was amazed to see him on the porta potty crew. I can't think of a more disgusting job - he did it. I'll give a bonus point for that. 2. He actually was fired by one of the line employees. That must have been humbling. And he took it with grace. Another bonus point. 3.He was amazed with some of the employees and the passion they had for their jobs. Its always nice to have a reality check. 4.He found more than a couple surprises along the way - at least one of them was illengal, which could have resulted in a big-time class-action law suit (time clock). 5. I was amazed at how little he knew about the inner-workings of WMI. Why didn't he have the feedback loops in place? Why weren't candid conversations taking place? Bottom line: As a CEO, you should never have silent problem that you're unaware of. These are some of the biggest risks facing every business leader today. How one avoids such Without Warning events is critically important. I agree. It seems like people either loved it or hated it. Me? I did both. I loved it because it does help make the argument for individual consideration in leadership. But I hated it because everything felt really contrived and scripted. It was the pilot, however, so I intend to watch a few more before rendering a final vote. Now that I see the comments I'm going to have to watch the show. You've got some passionate debate started already. Right, but he did come around in the end. OK, don't hold back.... how do you really feel about the show? Seriously, as always, thanks for your opinion. I'll repeat a portion of a comment I left on Wally Bock's Three Star Leadership Blog: The CEO from Waste Management, Larry O’Donnell, is the real deal. The employees are too. I know this for a fact, because two of them live in my hometown. Our local media did interviews with both of them after the show, and neither of them felt “exploited”. They cried after watching the episode for the first time. Real positive changes happened at WM as a result of the show. And I predict that the show will drive positive change in executive behavior. Why is that so hard to believe or accept? Thanks for those additional poinsts. All good. Thanks. I'll continue to watch, as long as it's as good as the first episode. If it "jumps the shark", I'm out. I love the debate! I hope you can join in. Great post! Will be looking forward to it. I watched the show and really enjoyed it. Nice insights. I'm a great fan of explaining the "why" -- primarily because it forces leaders to understand exactly why they are making a decision. At my husband's company, the decision makers are clueless about day-to-day operations and so keep making decisions that don't make any practical sense. It's maddening! I wish what went on in this show were mandatory.